The Spanish province of Catalonia marked ‘0-1’ yesterday. The one year anniversary of their independence vote which had severe consequences. As you may remember, Catalonia voted for independence on 1 October 2017 and its separatist government jubilantly declared independence on 27 October. Their leader, Mr Carles Puigdemont, had to flee to Belgium and members of his political party have been imprisoned since. The Prime Minister of a year ago who sent in the police forces trying to ‘knock down’ a democratic vote, conservative Mr Mariano Rajoy, was voted out of office in a corruption scandal and has been replaced by a minority government led by socialist Prime Minister Mr Perdo Sanchez. In this atmosphere, some 180,000 demonstrators marched peacefully in Barcelona yesterday. However, when evening fell and only the ‘angry young men’ were left to face off with the police, clashed erupted anew. 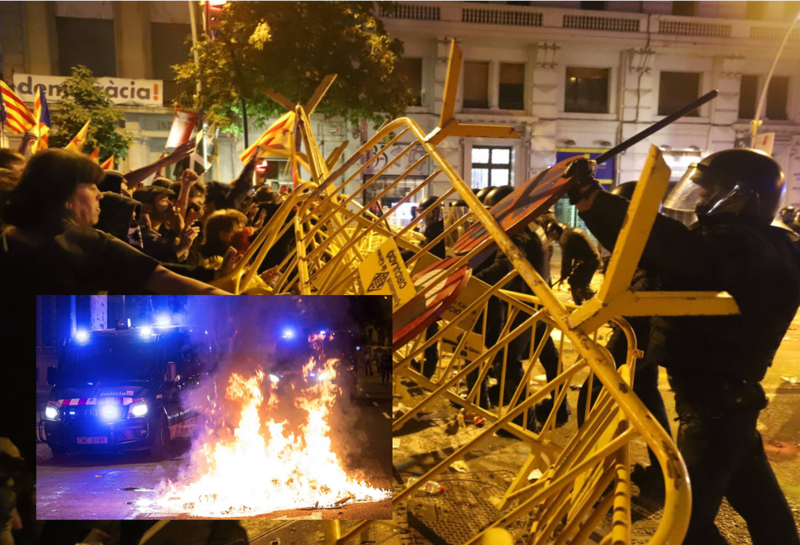 The anger over the contested referendum on independence from Spain is still great and was shown in the well prepared rebellious acts that Barcelona has seen overnight. At first, police wielded batons to break up a demonstration in front of the Catalan regional parliament. During the night, youngsters played cat-and-mouse chases with the police forces to tire them out. Then as of this morning, hundreds of activists started occupying high-speed rail tracks for several hours and blocked roads and a major motorway. The anniversary protests, organised by the Committees for the Defence of the Republic (CDRs), are once again demanding a clean break with the Spanish state. The current Spanish Foreign Minister Mr Josep Borrell, who interestingly enough is Catalan himself, declared to the press that it was up to the Catalan regional government to maintain public order. "We will continue to try to lower tensions… and demand that everyone assume their responsibilities," he told reporters in Madrid. The last opinion poll published on the question of independence, held in July, suggested that 46.7% of Catalans favored independence while 44.9% opposed it. As it stands the issue continues to divide the province right down the middle.